Timber Bow Top Fencing is available in heights from 0.6m up to 1.8m and in any length that you require. Matching gates are also available in various sizes. We offer the fencing in a natural, stained or painted finish. 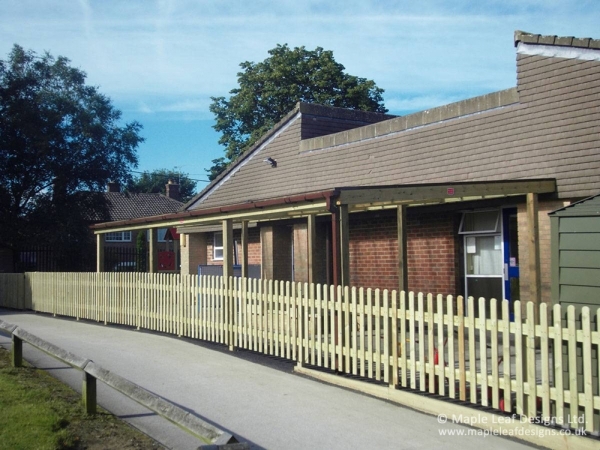 Our timber bow top fencing complies with all British and ROSPA standards and is the ideal fencing for a play area.